The weekend was pretty much uneventful…which is a good thing being as that my next couple weekends are going to be booked with work, family outings, and maybe even a hockey tournament in Madison Wisconsin. I picked up Call of Duty to play on my PC and man is it addicting. It is a WWII first person shooter and I spent a lot of time over the weekend and a little time yesterday playing it. So far, it is money well spent. My wife picked up Civilization: Conquests and that is really keeping her interest. She is more into the turn based simulation games than I am, but Civ3 is the best I have seen in that reguard. Monday was the day I was looking forward to though. 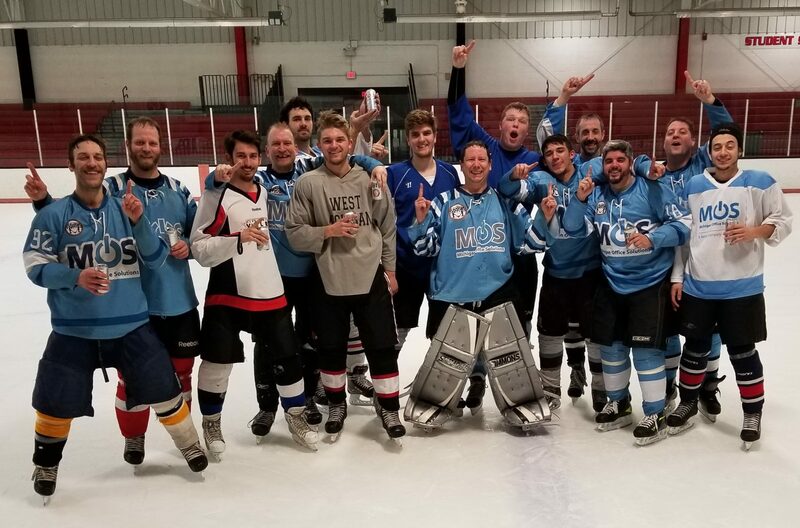 Not because of work or computer gaming, but playing hockey against my former team. I knew this game was going to get out of hand fast before it even begun. It wasn’t as if I was being totally negative about the situation just to be a dork either. On paper, this team has multiple Bronze level players. My team doesn’t have that kind of firepower. The closest we were in the game was a 1-1 score in the opening 10 minutes and it just went downhill from there to a 12-2 loss. They scored on a lot of odd man rushes and tip ins from the other side of the net. There were also some goals that hit me and went into the net. Through it all, I kept fighting. Never give up. Even when they had a 9 goal lead, I robbed a shooter on the doorstep and made a nice save off a one time shot. Through all this, I was a little irritated at my ex-teams attitude. No offense, but when the score it out of reach, it seems to me one team wants to embarass the other team….which is what happened here. Here was my ex-team, acting cocky and seemingly wanting to make a point of devestating another team. My team wanted to just go out and have fun playing. Kinda hard when the opposing goalie is coming out half way to play the puck to his defensemen when the score is already out of reach. It didn’t suprise me when my team complained about the attitude of our opponents. It made me sick a little bit. At least I have the piece of mind to know that the championships I won with that team happened without those other advanced players. We didn’t walk through and destroy teams like that and I never acted like that during a game. It is disrespectful and does nothing positive. Don’t get me wrong, I want to win like everyone else. I have been fortunate to get on teams that have played well as a team. Yes, you need players that can play. However, I wouldn’t want to be on a stacked team that destroys everyone. Something that many teams want to do. That is the state of the game though…. Overall, I felt a played a solid game considering the circumstances. There were a couple goals that hit me and still went into the net or squeezed through my pads in some way. Those I were a little irritated with…..but I didn’t lose any sleep over it. The game is over. Concentrate on the next one which is on Wednesday.